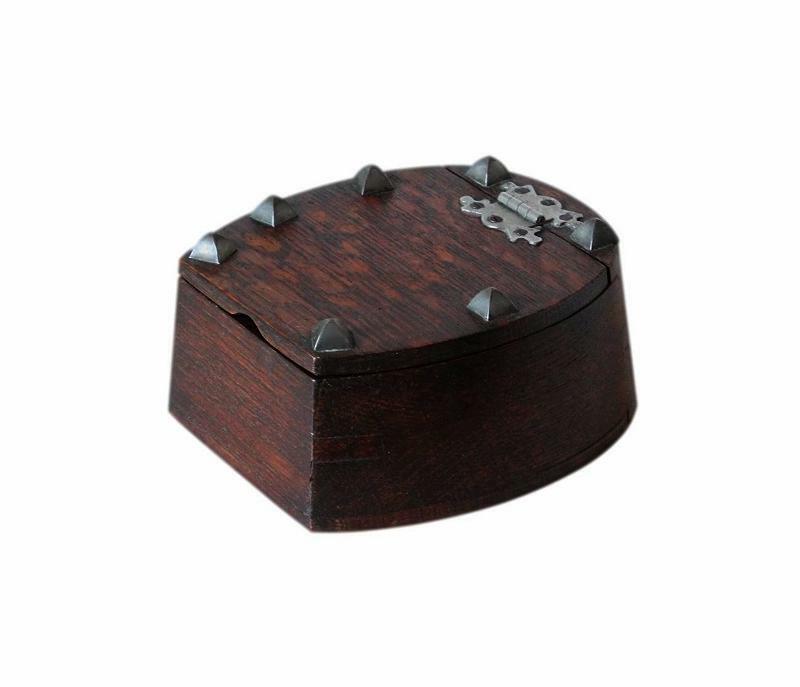 This is a lovely antique jewellery box with a very interesting horseshoe design. It is late Victorian or early Edwardian, circa 1900/1910. 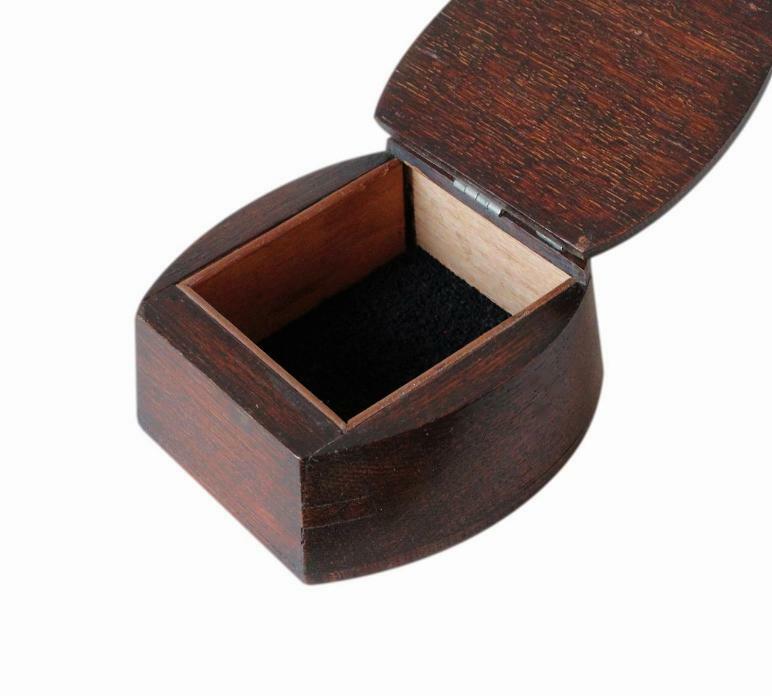 This box is made of solid Oak. 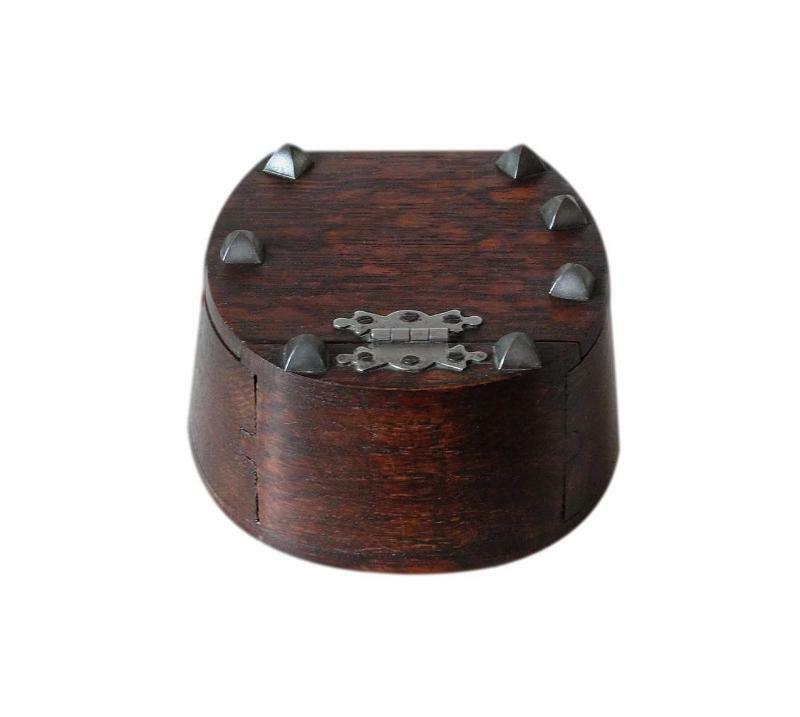 Its lid has its wonderful original large studs which represent the shoe's nails and it also has its original 'butterfly' hinge. The Oak is stained and the bottom of the box has its original covering. Please note. There are three studs on the right side of the lid as opposed to four on the left. There is no evidence of a 4th stud ever being present on the right and along with the positioning of the studs it would appear there were only three intended for this side. 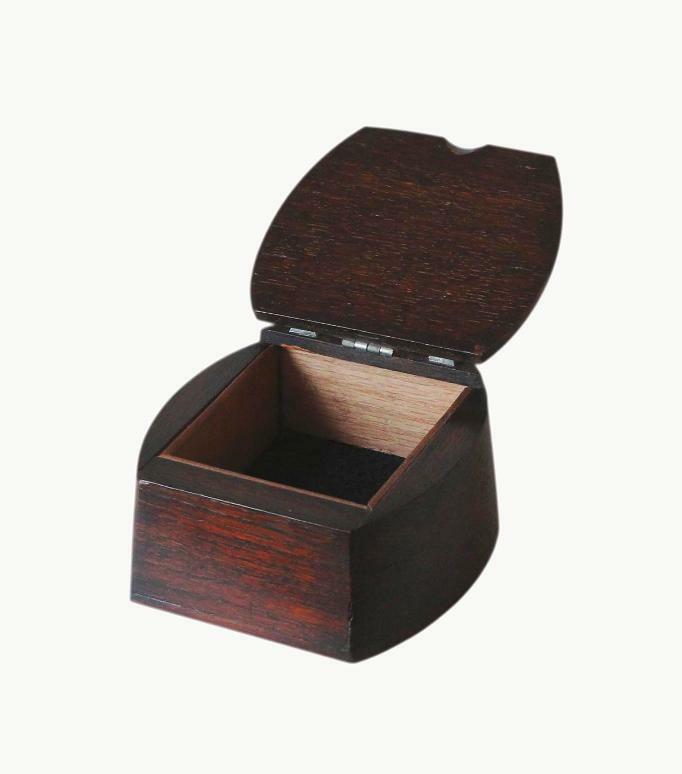 The interior has a single storage compartment. This has a new cushioned black felt lining. The horseshoe has long symbolised good luck and protection. 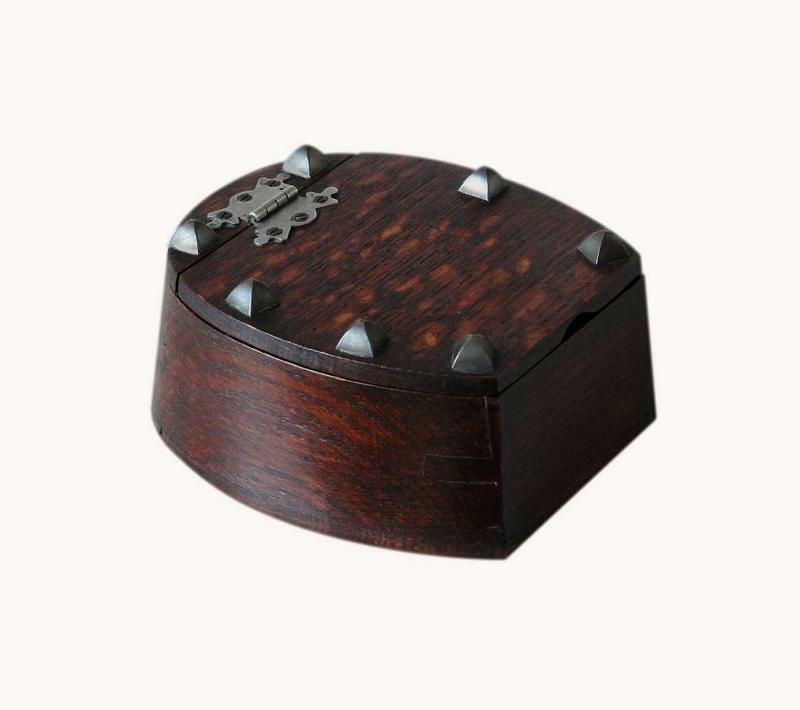 The symbolism of this box makes it a beautiful gift for new brides or for those embarking on a new venture. This box is in very good condition for its age. It is structurally sound and free from splits/cracks. There is some mottled fading to the stain on the lid but this adds to the box's charm in our opinion. The hinge is still in very good working order. The interior felt lining, being new, is in excellent clean unworn condition. There is age related friction wear to the covering on the bottom of the box. Please use the following measurements to ensure the box is the right size for your requirements. 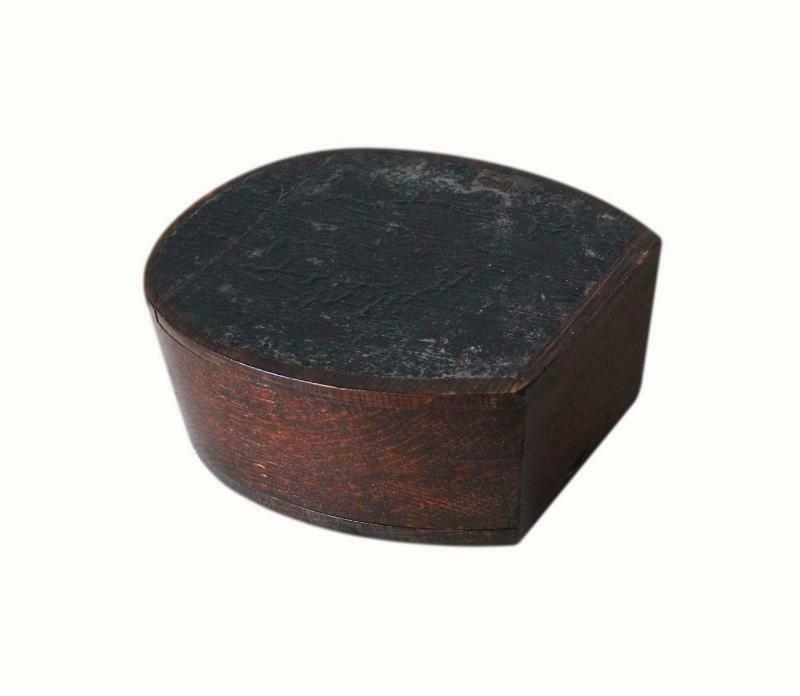 It is a small to medium size box with a fairly deep compartment. 9.3 by 7.8cm with a 4.2cm depth. UK. This box will be posted FREE within the UK by Royal Mail Next Day Special Delivery. International postage is £25. Delivery is fast, within 3-5 working days to Europe and 5-7 working days to the rest of the world. Delivery is by Royal Mail International Tracked and/or Signed For post.